Today is my weekly posting for Inkspot, the blog for authors of Midnight Ink. This week I post a photo review of a recent workshop I attended called “The Art of Character Development.” I really did take the class, I swear! 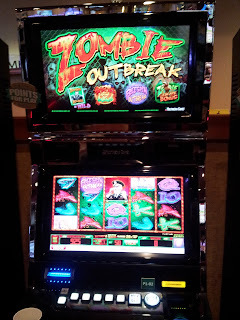 But was it before or after the Zombie slot machine ate my brains? You’ll have to read it to find out. Check it out, and please share! This entry was posted in Downward Dog Mysteries, writing and tagged inkspot, mystery writers of america, writing on September 28, 2015 by Tracy Weber. What Color is Your Filter? A little over a year ago, my husband took some videos of me walking my dog to send to her hip surgeon, who practices in Idaho. Tasha, although limping, looked like her normal gorgeous self. I never looked worse. My voice sounded like two pieces of Styrofoam rubbing together, and my “rear view” was considerably more panoramic than I would have preferred. My Facebook friends assured me that the camera added ten pounds (I hoped it was twenty) and that my perception of my appearance was distorted. Of course, they were right. Distorted perceptions are part of the human condition. Before we are born, the filters of our minds are clear. Unclouded, if you will. But as we mature and experience life, our minds become conditioned. The yoga teachings equate that conditioning to seeing the world through one of three quartz crystals. The Smoky Quartz Crystal. The mind that sees through a smoky quartz crystal perceives the world as darker than reality. The Debbie Downer of minds, for all of you Saturday Night Live fans. In my smoky quartz crystal mind, my rear end grows larger; my voice, more screechy; my dog’s limp, more pronounced. The smoky quartz mind is prone to depression, anxiety, and negative thinking. The Rose Quartz Crystal. The mind that sees through a rose quartz crystal, on the other hand, sees the world as more optimistic, colorful, and charmed than reality. The Pollyanna of minds. Seeing through a rose quartz crystal inevitably results in disappointment. We ignore risk and postpone appropriate action. If I saw that same video through a rose quartz filter, I might missed my dog’s obvious pain and not taken action to help her. The Clear Quartz Crystal. The mind that sees the world through a clear quartz crystal sees things as they are. No better, no worse; no attachment, no fear. When we experience life through a clear quartz crystal, we are grounded enough to see the truth without being derailed by it. We experience life as it is, in this moment, free from the conditioning of our past. Most people think yoga is about stretching your body. Yoga’s true purpose is clarifying your mind. What color is your filter? If your answer is anything other than looking-glass clear, yoga can help. 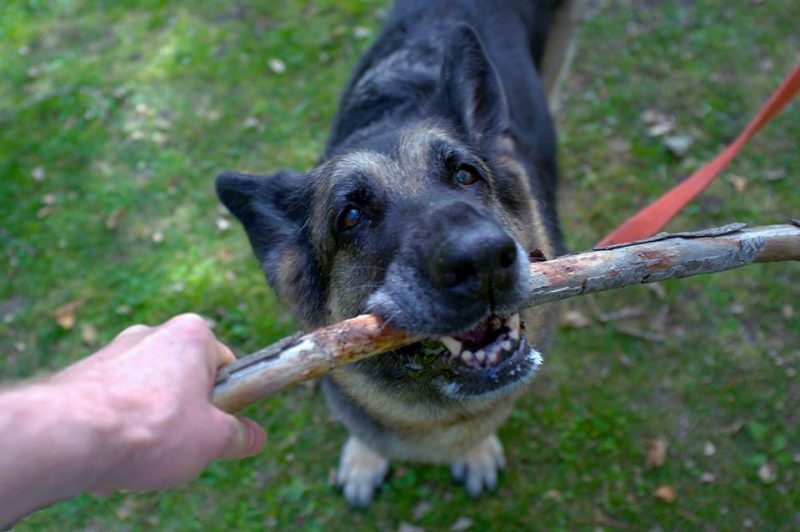 This entry was posted in dogs, Yoga Philosophy on September 21, 2015 by Tracy Weber. Not long ago I lamented to my husband how exhausted I was. He looked at me oddly and reminded me that I’d been on sabbatical for the past six weeks. I understand his confusion. I reminded him, in a very kind and gentle way 😉 that I was, indeed, still working. In many ways harder than normal. I call my time off from teaching every August a sabbatical, but really I should call it a time of refocus. These days, that refocus is around writing. So for those of you wondering what I did on sabbatical, here’s a partial list of things both fun, not-so-fun, and surprising. I don’t feel like as much of a slacker when I read it! Served on jury duty. Have you done your civic duty lately? Set up my winter, 2016 book signing tour. 6 stops and 5 cities so far—more to come! Spent waaaaaay too much time on Facebook. Need I say more? Wrote 6 newsletters. 4 for the studio and 2 author newsletters. Ate dinner out approximately 36 times. Hence the need for new clothes, below. Walked the Tasha-dog. Approximately 65 walks in all, many at our favorite walking destination, Green Lake! Watched all 39 episodes of Orange is the New Black. For the record, I already had a character named Crazy Eyes in my third book before I saw the series. Finished the production edits and started sending out advanced copies of Karma’s a Killer. Read and wrote endorsements for 3 fabulous books by authors Susan Obrien, Sharon St. George, and Colleen Shogan. Do yourself a favor and pre-order them now! Put together Tasha’s wheelchair (the chariot!) all by myself. Hopefully she won’t need it for a very long time. In the meantime, her pal Froggert will keep it warm for her. Harassed hubby until he finally finished my new mobile friendly author website! Scheduled and created the catalogues, contracts and other registration materials for Whole Life Yoga’s 2016 yoga teacher training! Information sessions start in October! Get even one massage myself. Go on a single trip. Finish the book proposal for my meditation book. Shop for clothes. Since I often mess up and wear them inside out, maybe that will double my wardrobe! Start the second mystery series I have rattling around in my head. But if my writing continues to speed up, I may just start it soon! So, all, I’ve missed you, but I’ve been busy! I look forward to being back teaching starting tonight. I hope you all had a fantastic summer, filled with love, joy, and lots of play. My newest mystery, KARMA’S A KILLER, is now available for pre-order at at Amazon Barnes and Noble, and Whole Life Yoga! 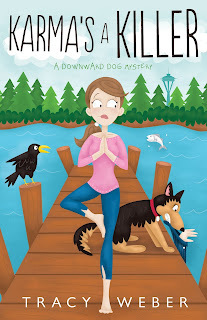 This entry was posted in Downward Dog Mysteries, Gratitude, writing and tagged dog, dogs, downward dog mysteries, downward dog mystery, gratitude, Tracy Weber, writing on September 14, 2015 by Tracy Weber. Birthday Wishes, Lots of Love, and a Contest! Today’s blog post will be short, sweet, and full of good wishes. First of all, happy birthday to my lovely hubby, Marc Martin (on Thursday). I won’t tell everyone how old you are honey, but know that I love you! I have a very limited supply of advanced copies of Karma’s a Killer, and I’m holding a series of sweepstakes to give one of them away. If you win, I will personalize and autograph your copy! Enter to win by signing (or re-signing) up for my mailing list at the link below. 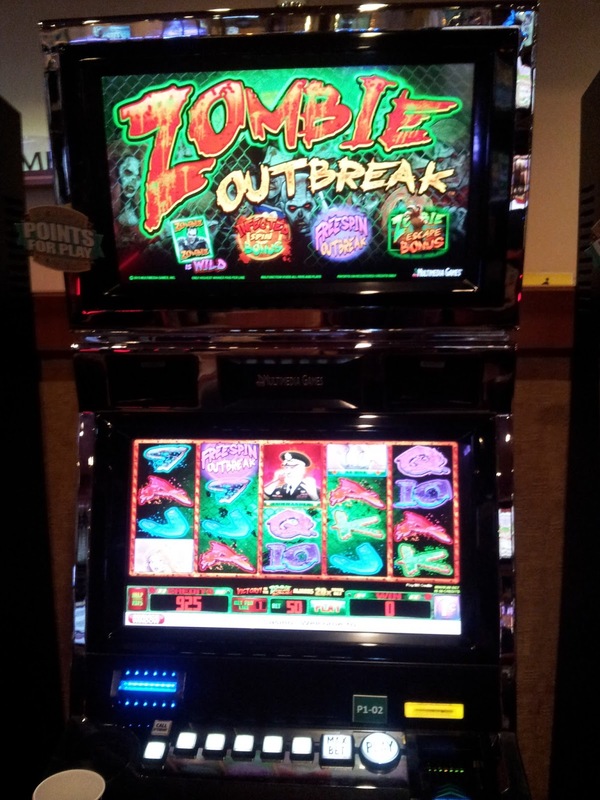 Winner will be drawn on Wednesday, September 16. Good luck, and happy Labor Day everyone! May all of your karma be killer! And if you want to show me some love, you can preorder KARMA’S A KILLER, now at booksellers nationwide. 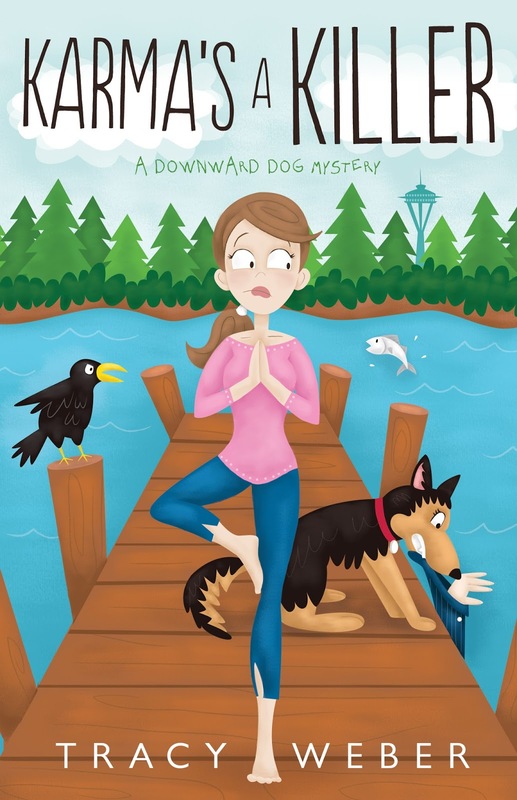 This entry was posted in Downward Dog Mysteries and tagged downward dog mysteries, Karma can be Killer, karma's a killer on September 7, 2015 by Tracy Weber.